Located in the heart of ‘Corridor Manchester’, Burlington Square is a new, high quality residential development situated within the innovation district south of Manchester City Centre and adjacent to Manchester University campuses. Burlington Square is centrally placed with 10-15 minutes walk to the City Centre of Manchester, including its large China Town and 10-15 minutes walk to the lively student population areas in Rusholme, Fallowfield and Withington. The Northern Quarter is also accessible on foot with its thriving independent shops, bar and restaurant scene. The development is well served by public transport modes and mainline stations are accessible on foot. The nearest station only 5 minutes’ walk away is Oxford Road Station which has direct links to Piccadilly Station and Manchester airport. 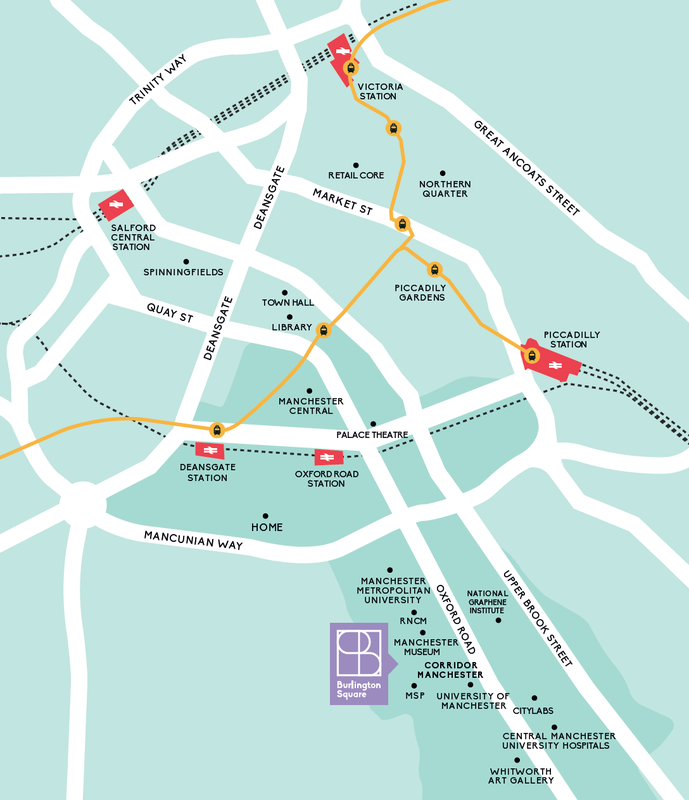 Manchester’s growing tram network is easily accessed from Deansgate or St Peter’s Square. The site is located within the newly emerging area known as ‘Corridor Manchester’ which includes recently developed Graphene centres, University buildings, teaching hospitals and sports facilities. Manchester’s commerce quarter; Spinningfields is located 15-20 minutes’ walk away and the civic area of St Peter’s Square is nearby. 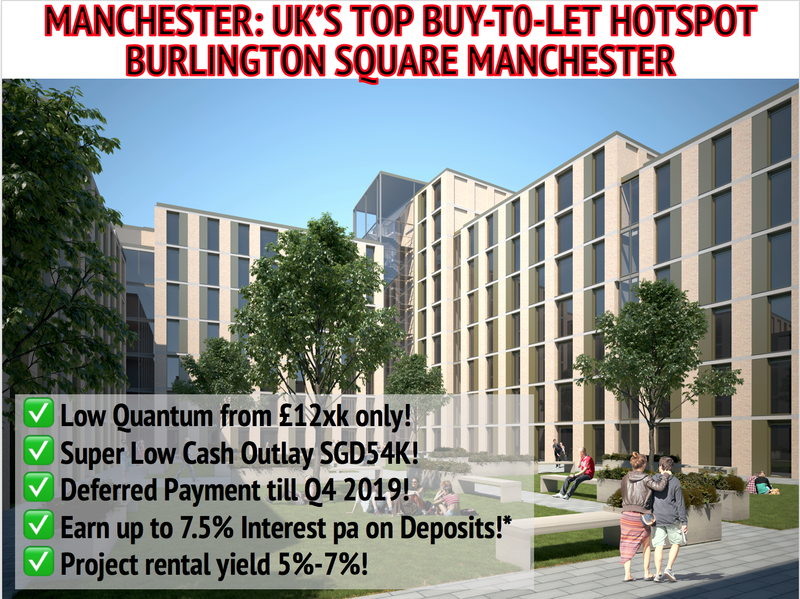 For more information on Burlington Square Manchester, simply fill up your details below and our salesperson will get in touch with you shorty!